You don't have to be Irish to indulge in a little St. Patrick’s Day fun. This March 17th, the beloved Ole Smoky® Tennessee Moonshine Distillery will be servin’ up Electric Green Lemonade that will leave you feelin’ lucky! Make your friends green with envy and pick up Ole Smoky’s White Lightnin’™ with a commemorative St. Patty’s label, sold in The Holler’s newly renovated retail space ($24.95)! 2 Drops Green Food Coloring, Garnish with Lemon & Ole Smoky Cherries3 Parts Lemonade, Mix together & Call some friends! Ole Smoky is the first federally licensed moonshine distillery in the state of Tennessee. A visit to The Holler is the true moonshine experience. As you approach the entrance, you can detect the distinct smell of our grains cooking and fermenting. You’ll see authentic working moonshine stills and experience the process from beginning to end. Visitors can see for themselves how mountain moonshine is made and learn about the rich history of the spirit made by generations of ‘shiners. 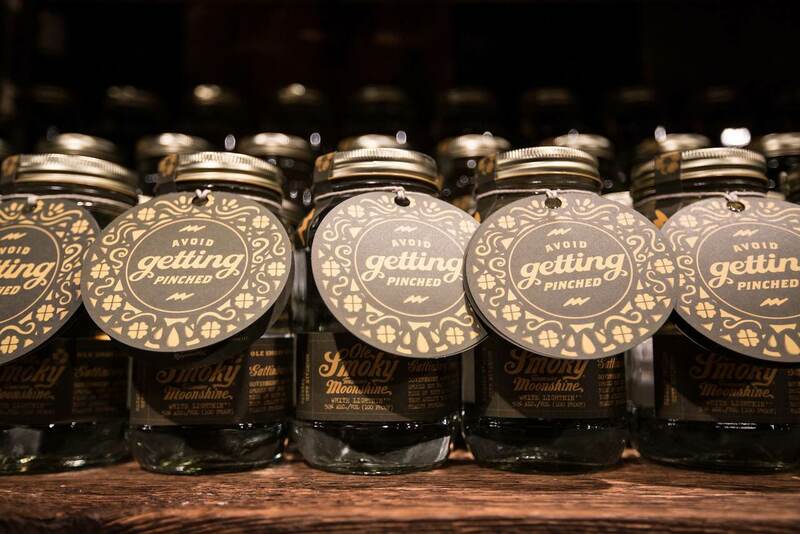 Guests are able to sample and purchase Ole Smoky products, which continue to be packaged in traditional mason jars and shipped to 49 states across the U.S. as well as Canada. Ole Smoky Tennessee Moonshine currently retails nine varieties. The Distillery features Ole Smoky Original Moonshine, White Lightnin’™ and Moonshine Cherries®, Peach Moonshine™, Apple Pie Moonshine™, Blackberry Moonshine™, Strawberry Moonshine™ Lemon Drop Moonshine™, and Pineapple Moonshine™. Ole Smoky Tennessee Moonshine can be found at local retailers and is sampled and sold at some of the biggest music and sporting events in the country. For more information, please visit www.olesmokymoonshine.com.